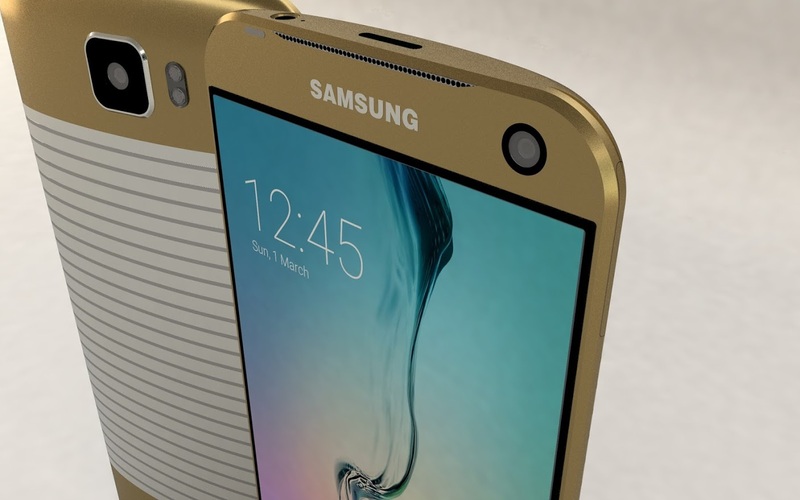 Mysterious Samsung Device Scores Nearly 96,000 Points In AnTuTu; Galaxy S7 Maybe? Looks like we have another winner from AnTuTu, this time from the Samsung club. Previously, we reported that that a mysterious LG device had its AnTuTu benchmarking points leaked, obtaining a score of 85,000+ in the process, which is phenomenal. Now, it appears that an unknown Samsung device has been able to top that, with a massive score of nearly 96,000 points. That high a score can definitely not be obtained by a Galaxy S6 Edge Plus, or a Galaxy Note 5, so our next best guess is that it has to be a Galaxy S7. 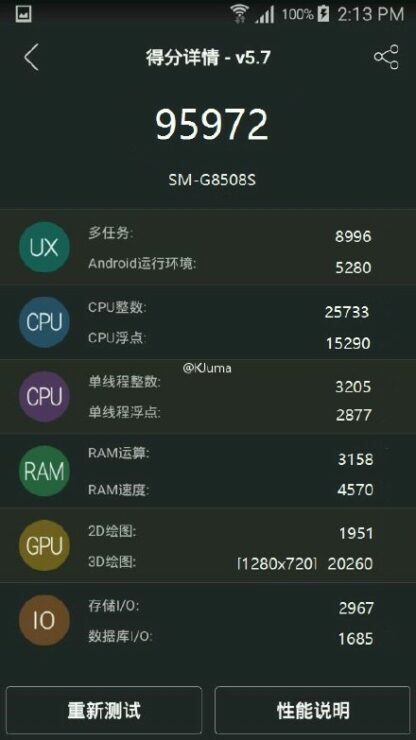 According to Weibo, there are two screenshots (images given below) where it states that the Samsung handset given the model name SM-G8508S has been shown to obtain a score of 95,972 points in AnTuTu. 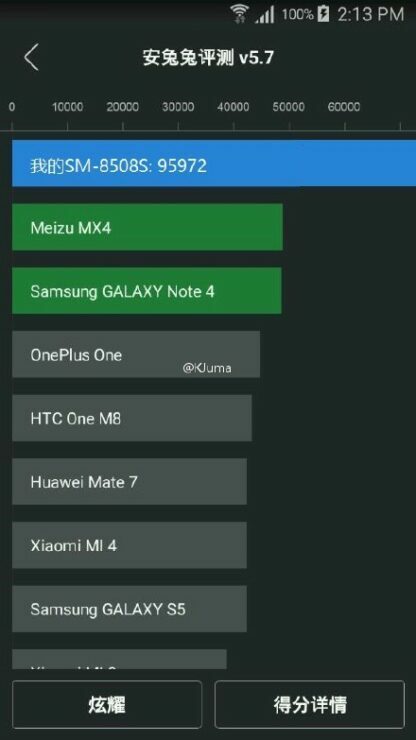 Earlier, we reported that Galaxy Note 5 was leaked to obtain a score of 69,702 points in the benchmarking application, indicating that a chipset much powerful than Exynos 7420 was going to be required to obtain a score that high. It just so happens that there was another leak stating that Galaxy S7 could feature a Snapdragon 820, since Samsung was testing out the upcoming SoC in the company’s next flagship smartphone. Additionally, we also have information that Qualcomm’s upcoming chipset is not going to feature the company’s Kryo cores, but a quad-core CPU comprising of the firm’s own developed Hydra cores. Keep in mind that these are the same cores that Qualcomm was looking to use as server processors, and with the firepower that server processors possess, you can rest assured that they would be able to obtain a score this high, if taken for a bench run. However, we should take this leak with a grain of salt and wait for Snapdragon 820 to make its way to in to handsets to really witness its true potential. If the smartphone is able to reach this performance level while sporting a Snapdragon 820, then it looks like Qualcomm really did learn its lesson.